"There is always something that doesn't fit into any special bracket of furniture. This is the place we put those things." 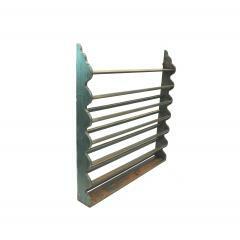 A pine scalloped hanging plate rack in original blue paint. 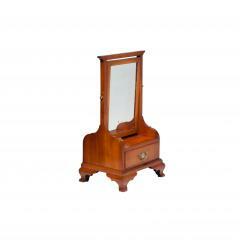 Rhode Island cherry Chippendale shaving stand with the original mirror, refinished surface, and replaced brasses. The shaving stand has a wonderfully shaped base terminating in ogee bracket feet. 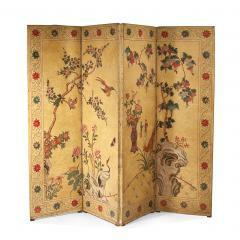 An impressive four-panel painted leather screen with polychrome chinoiserie pattern on a yellow background on one side and a polychrome painted floral pattern on a black background of the other.